Distance – 0.33 miles (one way). About 0.8 of a mile total round trip with the walk out on the adjoining Stafford Trail. Directions – Must pull into the Stafford Trail/Stafford Frisbee Golf parking lot off of Evesham Road between Springdale Road and Holly Oak Drive. Parking – Good size lot, but can be muddy. 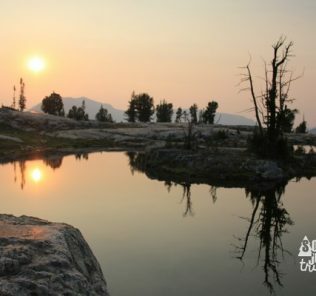 Description – There is one thing that is amazing about this trail. It’s not the length (it’s one of the shortest we’ve reviewed). It’s not the scenery (typical South Jersey woods, not that we don’t love typical South Jersey woods). It’s not the history (although the land was part of one of the oldest farms in the area). 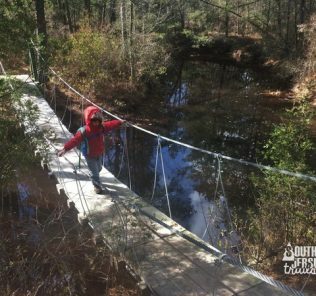 What is amazing is how this trail was created – by The Trailblazers Club, a club of middle school students from Voorhees Middle School. 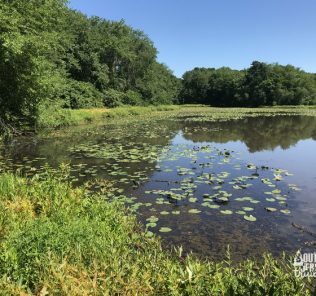 It was the brainchild of loyal South Jersey Trails reader (and an old friend) Dave Thompson, who organized the club with the lofty goal of someday creating a system of linked trails all over Voorhees. 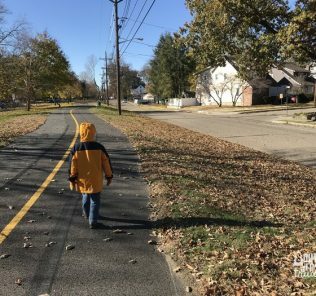 He was inspired by the Greenways system in neighboring Gibbsboro and the extensive system of trails created by the Cherry Hill Trail Crew in Cherry Hill. But it gets better. The club immediately had 25-30 students sign up. 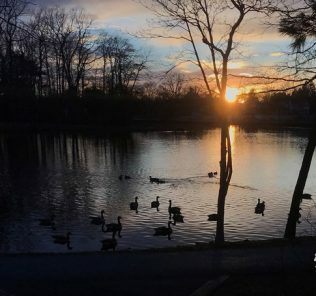 After only a month, more than a dozen students went to the Voorhees Township Committee Meeting to propose their first trail, the Viking Trail, connecting the Stafford Trail with their school. The trail would cut across township Green Acres property, and was easily approved by the committee. They the club went to work. While the trail won’t officially be dedicated until the Spring (we’ve managed an invitation to the grand opening), we got a sneak peak at the trail. It starts just off the Stafford Trail. Walk down here a little more than a tenth of a mile and look for the brand new sign that Dave just routed. Once at the intersection, follow the sign marked “VMS”. You’ll be following the blazes from here on out. For the most part, the blue and white trails exactly overlap. A little after the stone marked 0.1 (not quite in the right places yet), the trail splits. The white trail winds down and around a bit of steep hill. The blue trail goes right down the hill. They very quickly join back up. We opted for the white trail on the way down. Old wheelbarrow. Took me a minute to figure out what it was. 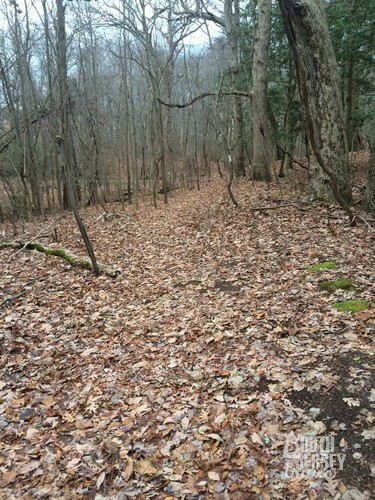 Trail split from the bottom of the hill. Once the trail rejoins, it snakes down to an old road, where it turns right and follows the road. It will then turn left off of the road and cross the stream. The Trailblazers Club hopes to eventually be able to put a bridge in here, but for now, they placed some rocks and bricks in the stream so that you can step across. My family is so tough. Also, the water isn’t usually this high (these pictures are from the second time I hiked the trail), but it had been raining. After crossing the stepping stones, it’s a short walk up to the back end of the middle school playing fields and the end of the trail. Hey, I’m actually in a picture! Just turn around and head back the way that you came. We opted to try the blue trail straight up the hill on the way back. It’s a little steep, but takes only about 20 seconds to climb. The Pres found his own climbing on the way back. Back at the trail intersection, we turned right down the Stafford Trail, took a look at the sun setting behind the farm, and then headed for home. Flowers, Matt. 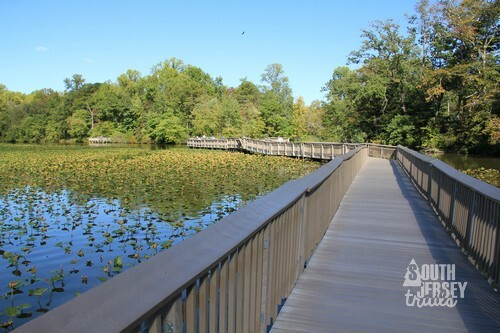 “New Voorhees Club Set to Blaze New Trails.” Courier-Post [Cherry Hill] n.d.: n. pag. Courier-Post. 18 June 2015. Web. 23 Jan. 2016. 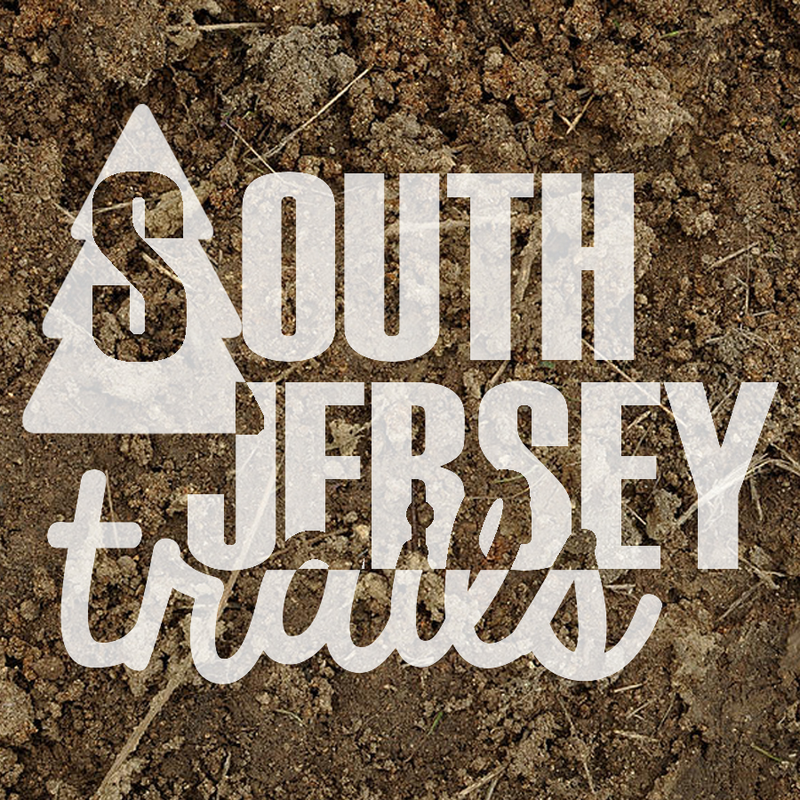 <http://www.courierpostonline.com/story/news/local/south-jersey/2015/06/18/new-voorhees-club-set-blaze-new-trails/28937717/>. Clark, Zane. “New Trailblazers Club at Voorhees Middle School Seeks to Expand Hiking Trails through Township.” Voorhees Sun. N.p., 5 June 2015. Web. 23 Jan. 2016. 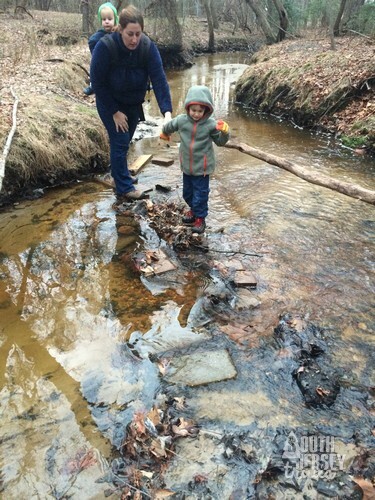 <http://www.voorheessun.com/2015/06/05/new-trailblazers-club-at-voorhees-middle-school-seeks-to-expand-hiking-trails-through-township/>. Very short trail. Must do as out-and-back because of school property. This trail isn’t much to hike, but I’m excited by the prospect of Voorhees further developing its trail system. 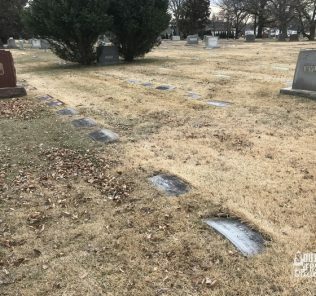 Good job to Dave and his kids for taking the initiative to start this great project! Thanks for the great write up. Grand opening soon. I’ll let you know.